Long, summery dress made from lovely chiffon fabric from CHIARA FORTHI. The dress has narrow shoulder straps and decorative flounces at the front of the bust, as well as at the slit section of the dress. 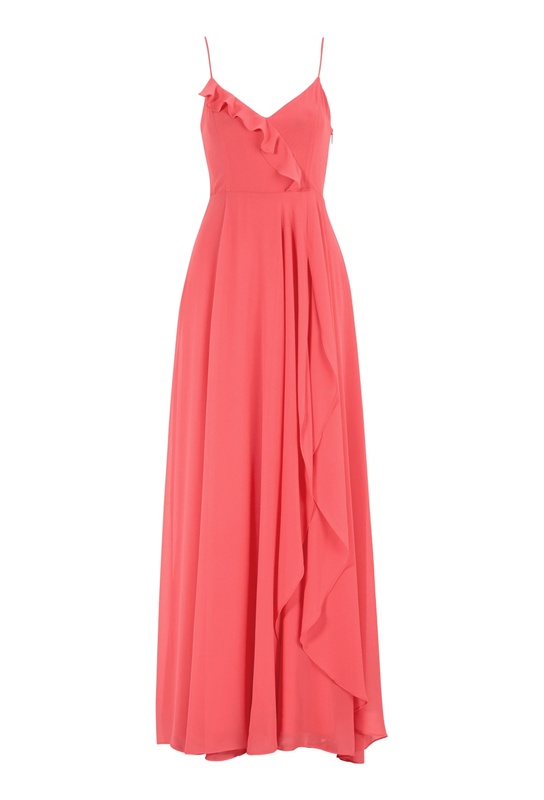 The total length of the dress at the front is 140 cm in size 36 without the shoulder straps included. The length of the shoulder straps is about 33 cm in size 36.